Need to warm up New York? We are experiencing frigid temps in the 20's today and yesterday. Not so happy fighting this weather today. However yesterday was AAHHH being toasty indoors living the robe life! I could so get use to this!! HA. 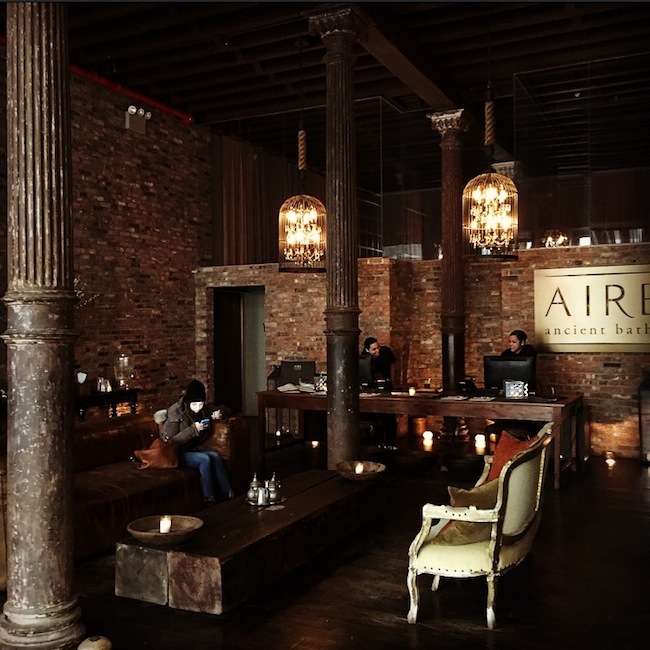 Here I am caught at Aire Ancient Baths, set in a restored textile factory down in Tribeca. 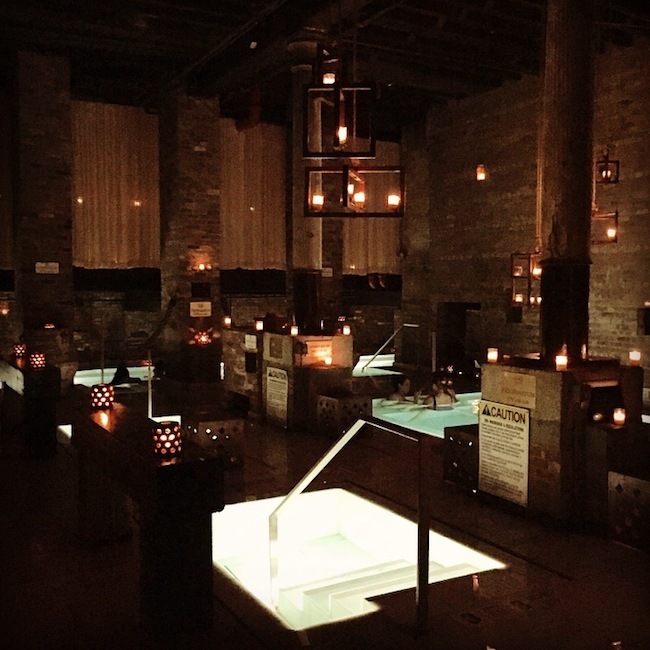 As soon as you enter, the industrial exposed pipes, columns, lighting and red brick walls immediately set the vibe of the spa. RICH. The interior of this spa is definitely top. CALDARIUM - A 102F hot bath. My favorite! FLOATARIUM - A 95F salt water pool, where they offer exfoliating sea salts at pool side to scrub your body down. FRIDGIDARIUM - There are two pools. A 50F and a 57F cold bath. For the Polar Bears! TEPIDARIUM - A 97F warm bath. THERMAE - A 97F propeller jet whirlpool bath. In addition there is a 102F steam room infused by aromatherapy oils that they switch up depending on the day between eucalyptus, jasmine or peppermint. Yesterday was Eucalyptus day. I couldn't hang out in there too long because the steam mixed with the strong scent overpowered me. But it definitely opened my nasal passages! Massages are also offered here. They offer four handed relaxing massages which are the tip of the iceberg if you've never had one before! It's two massage therapist massaging you in synchronized harmony. I unfortunately was not able to get that. However, I was able to get a 45 minute massage by a Japanese therapist 'Hoki', who dug deep man! I loved it. Especially his head massage at the end was heaven. Sold? This is a perfect place for couples to celebrate Valentines day, Birthdays, Anniversaries, or just because you need to escape the kids! Don't feel guilty if you do!! 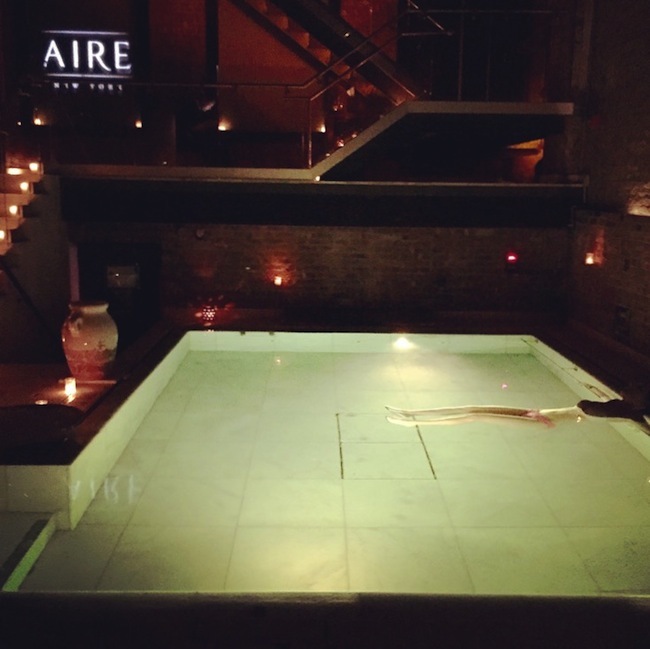 Bookings are made in 2 hour slots where the baths are at your disposal for that whole duration to utilize. 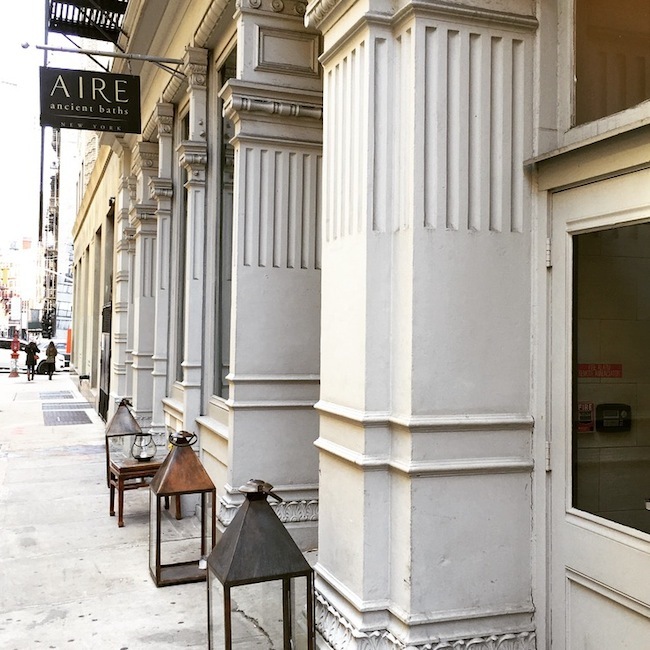 If you also make a reservation for a massage during your time slot a staff member will find you by the baths and call you out sometime between that 2 hour time frame when the therapist is ready for you. I got called up for my massage 30 minutes after arriving, and had a chance to go back after my massage to enjoy the baths for another 30 minutes. It was a perfect balance of 2 hours of serenity, and totally what I needed to relax and defrost. I'm declaring this as my new favorite winter time hang! You will too after you go and discover what all the hype is about! TRUST.